The more often you complete a habit, the stronger the habit will become. As you track your success and identify areas of weakness, you will find motivation to keep your good habits going. 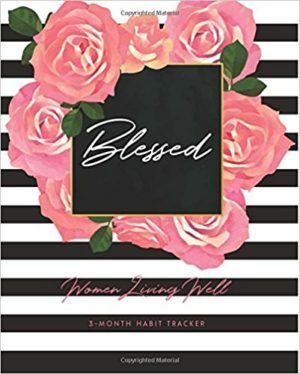 The Be Strong In the Lord 3-Month Habit Tracker was designed to help you reach your life goals. 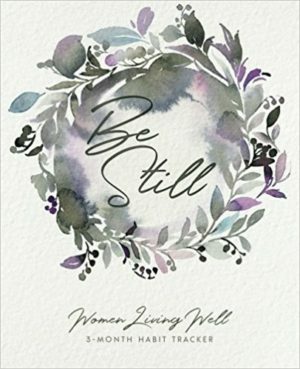 Each of us has a unique set of priorities but all of us should be growing in our walk with the Lord. First you will find a place to track your Prayer Requests and Bible Reading. These spiritual trackers are to be used for all 3 months. Behind the spiritual trackers, you will find a set of Habit Trackers broken down into 3 separate months. These monthly trackers are repeated three times. 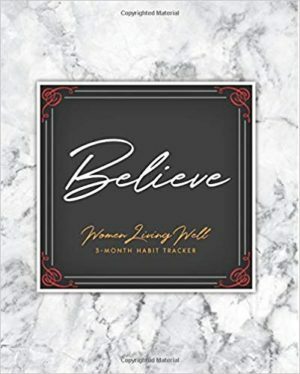 Behind the 3 months of Habit Trackers, you will find 90-lined pages for journaling, along with an inspirational verse per day. Enjoy the journey of growth and progress and remember to give yourself grace, as you live intentionally, to the glory of God! 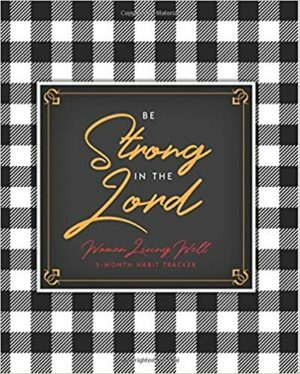 Order your Be Strong In the Lord 3-Month Habit Tracker!